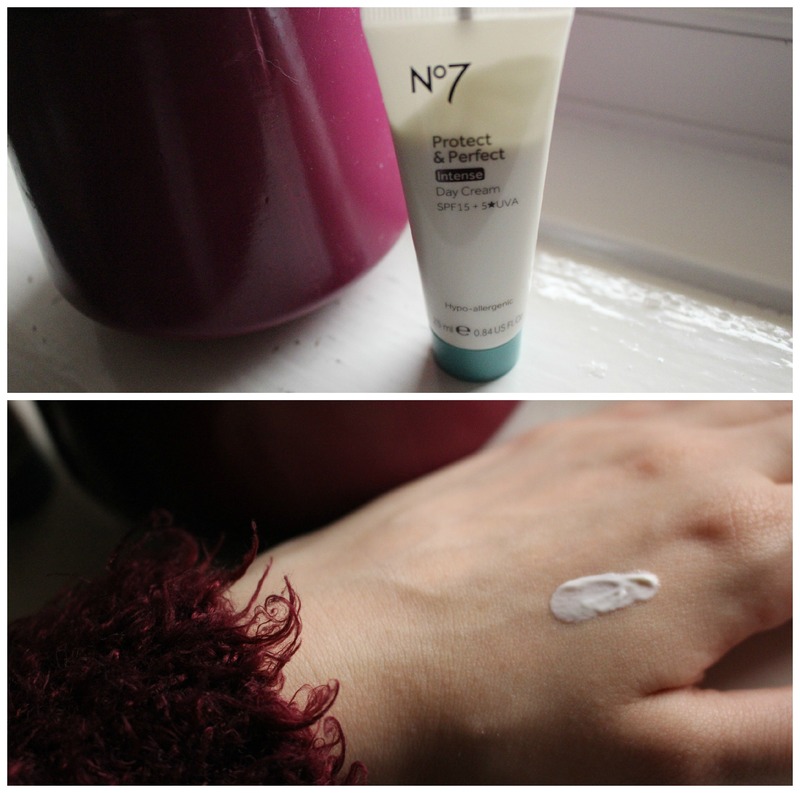 Today i got the ‘No7 Intense Day Cream’ a few days ago i got the night cream and i loved the product as it was gentle on the skin and does the job of a night cream. So I’m happy that the day cream is also the same, it smells nice and isn’t too perfume smelling. It sinks into the skin fast and instantly makes you feel smooth. It does not leave the skin greasy and a little goes a long way. On the boots website this product is highly raved about which gives me high hopes its going to be an amazing product, i will use the day and night cream for a few weeks and tell you if it helped my skin. 1. Use every morning after cleansing, toning and applying No7 Protect & Perfect Intense Beauty Serum. Simply smooth into your face and neck with your fingertips, avoiding your eyes. You can pick this up from boots for £23.00 here. What are your favourite Day and Night creams?